The Historic Centre of Macao was settled by fishing people long before the arrival of foreigners. It was a sheltered bay on the peninsula and a stopping point for seafarers sailing down the Chinese coast from Fujian province. The temple for the Goddess A-Ma, built in the late 15th century, is testimony to their faith. The Portuguese first arrived to China in 1513, visiting the famous market of Canton. 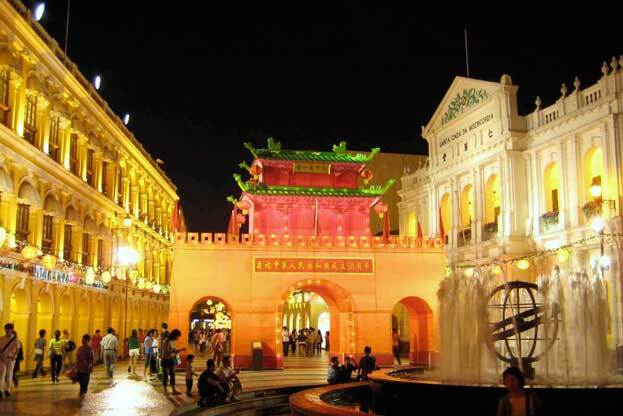 In 1557, they arrived in Macao, which became the oldest permanent European settlement in East Asia. The name of Macao derives from the Ma Kwok temple, built in the 14th century. At the time, the native inhabitants were scattered in small villages. Barra village and Patane village were small settlements of seafaring merchants, while the other villagers were farmers. When the Portuguese arrived, they built simple timber-clay houses in the Inner Harbour area. Several catholic churches and chapels gave the character for the settlement, becoming the focal points for road patterns. In the early 17th century, the Portuguese built a series of forts against other Western powers, e.g. the Dutch. In mid-17th century, the settlement was divided into two parts: the Portuguese in the south and the Chinese in the north. There was relatively little development in the 18th century due to restrictive legislation by the Chinese authorities. 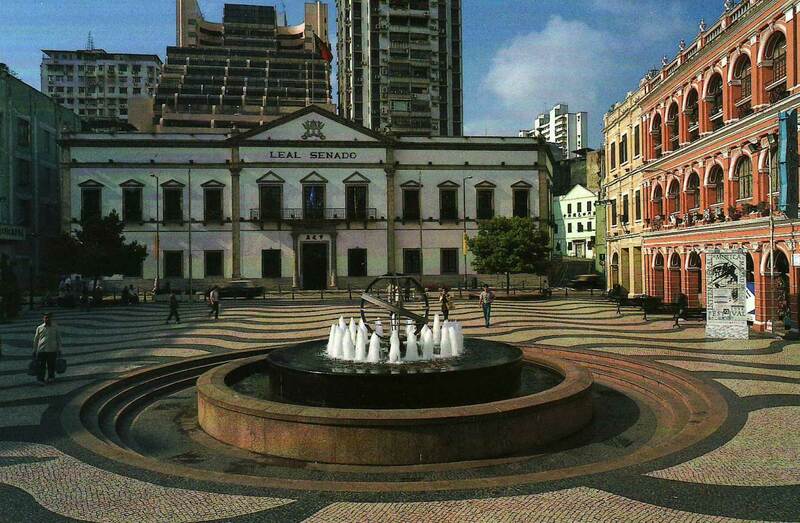 In 1849, Portugal proclaimed Macao a free port, which was confirmed in a protocol in 1887. In the late 18th and early 19th centuries, the Catholic Church increased its power constructing new or renovating major churches. Due to Macao's role as a trading base, and due to lucrative opium trade, foreign companies established a base in an enclave prior to heading further up the Pearly River to Canton. This increased the quality of the building construction. At the end of the 19th century, not being able to compete with Hong-Kong, Macao's main finances were based on offering a popular sojourn spot for foreigners. As a result, many luxurious villas were built here, including new functions and buildings, such as Dom Pedro V Theatre, the Military Club, the Moorish Barracks, and Bela Vista Hotel. At the same time, the Chinese continued building in their own style, including Earth God Temple, the God of Justice Temple, Na Tcha Temple, and A-Ma Temple. From this period, there also started the process of land reclaim, which continued through the 20th century, providing a substantial extension to urbanised area. After 1949 the population grew especially by an influx of Chinese refugees from the mainland. 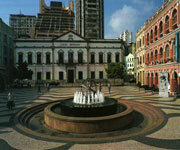 In 1974, Macao was established as a Chinese territory under Portuguese administration. Under the terms of the 1987 agreement, Macao became a special administrative region under Chinese sovereignty in December 1999. In the 1990s, there has been a real-estate boom, resulting in a large number of high-rise buildings in the city centre area, though principally outside the defined buffer zones. At the same time, there have been campaigns for the restoration of the historic monuments.